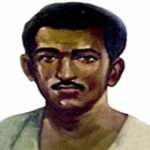 Matiur Rahman is martyred freedom fighter of the liberation war. 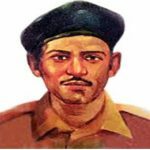 He was awarded as ‘Bir Sreshtho’ the highest recognition of bravery in the liberation war of Bangladesh. Matiur was a flight lieutenant in Pakistan Air Force. The fighter attempted to escape from Pakistan in pursuing to join Bangladesh liberation war to hijack a Lockheed T-33 aircraft. Matiur Rahman was born on November 29, 1941, at ‘Mobarok Lodge’, Age Sadek Road, Old Dhaka, Bangladesh to father Maulvi Abdus Samad and mother Syeda Khatun Mobarakunnesa. He was the sixth of nine children of his parents. He completed schooling from Dhaka Collegiate School. Then Rahman admitted into Pakistan Air Force Academy and passed matriculation with first division. Matiur Rahman kicked off the career journey by joining the Pakistan Air Force. 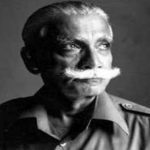 In 1963, he got commissioned as a pilot officer. 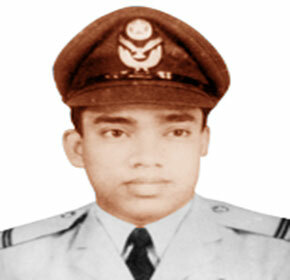 Rahman was working as Flying Officer during the Indo-Pakistan war of 1965. He was promoted to Flight Lieutenant and was the only Bangladeshi pilot in Air Exercise in honor of Iran’s Queen Farah in Peshawar. 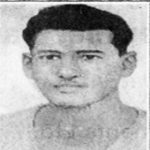 Matiur Rahman came to Dhaka in the last week of January 1971 of two-month leave. He opened a training center in Bhairab Upazila to give training the freedom fighters taking the highest risk as he was Pakistani officer. May 9, Matiur returned to Karachi with the whole family. Returning to the job field, he decided to occupy fighter aircraft to join the liberation war with the aircraft. He attempted to his decision and targeted T-33 a training aircraft. 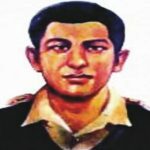 He took control the aircraft from Pilot Officer Rashid Minhas and flying it below the usual altitude to deceive the radar. Minhas, the trainee pilot forced the aircraft to crash rather than allow the hijacking to succeed. The plane crashed near Thatta, 51 kilometers away from Indian border and both men were killed. Rahman’s dead body was found near the crash site. His wife Milly and two daughters were imprisonment for a month by Pakistan Air Force. The two men were awarded by the respective countries for their contribution. The Bangladesh Air Force’s Air Base is named his honor in Jessore. 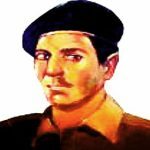 Dining halls in the Cadet Colleges of Bangladesh are named after him. Matiur Rahman was buried in a fourth class employees graveyard at Mashrur, Karachi. 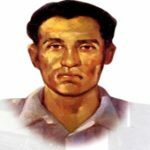 After 30 years of negotiations, Bangladesh able to returned the Rahman’s body on June 24, 2006. Following a day, he buried with full military honor at the Martyred Intellectual Graveyard, Mirpur, Dhaka.